Claude L. “Butch” Gauldin, Sr.
Claude L. “Butch” Gauldin, a resident of Willow Springs, passed away early Wednesday morning, March 6, 2019 while at his residence. Born August 21, 1926 to Edmund and Lucy (Boulware) Gauldin in Ashland, Mo., he was 92 years old. Claude grew up in Willow Springs and attended the local schools. He graduated from Willow Springs High School in May of 1944. He began working with the Postal Service while he was still in school. In August 1944 he enlisted in the U.S. Navy and proudly served his country until he was discharged in July 1946. When he returned home, he resumed working for the U. S. Postal Service and retired in 1981 as Postmaster after 38 years of service. He was married to Louise Hanks on April 21, 1953 in West Plains, Mo. To this union, five children were born. He and Louise were long-time members of the First Baptist Church in Willow Springs. Claude, or “Butch” as he was known, served in many capacities; he was a 61-year member of the Ingomar Lodge No. 536 A.F. & M. in Willow Springs where he was a 32nd degree Mason, a member of the Scottish Rite, and the Shriners. He served on the school board in Willow Springs; he obtained his pilot’s license and he loved to scare his children with his acrobatics. 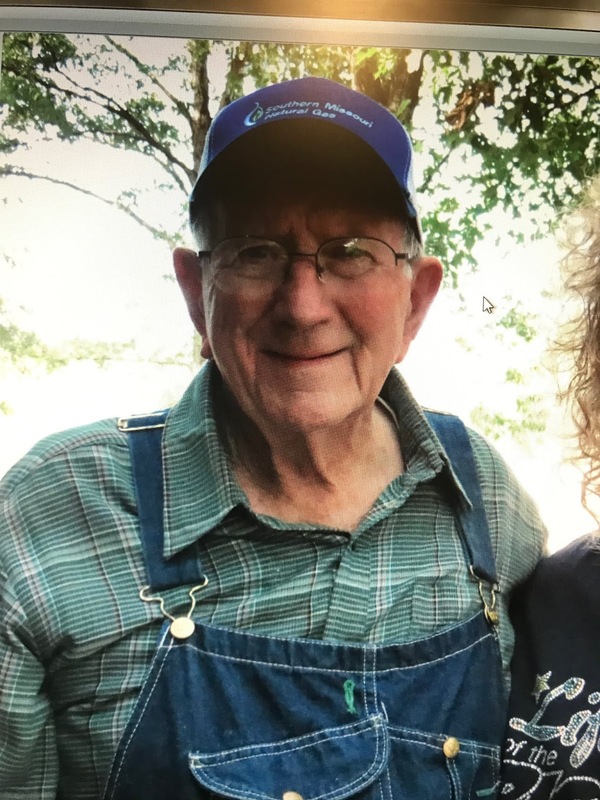 He was well known in the area as a farmer and would willingly spend his time on his tractor on the farm and was always eager to lend a helping hand to a neighbor. He raised Hampshire show hogs; and was so proficient at it that he and Louise, along with Bob and Jackie Hinds, traveled to Japan to promote Hampshire hogs. The Japanese farmers also visited here to learn more about the show hogs. It has been said that the most important part of Mr. Gauldin’s life was his love of family and spending time with them. His children agreed that he was a great father. He will be greatly missed by his family, friends, and all who knew him. He is preceded in death by his parents and two brothers: Edmund Gauldin, Jr. and Robert Gauldin. He is survived by his wife of 65 years; his children, Gwen Parker of Edgar Springs; Nita Ray of Rolla; Vicki Kanne of Marionville; Leroy Gauldin and his wife, Deb of Willow Springs; Rhonda Gately and her husband, Dean of Edgar Springs; nine grandchildren, 15 great-grandchildren, and 2 great-great-grandchildren. Further survivors include two sisters: Marguerite Wehmer and Betty Stringer, both of Willow Springs, and several nieces and nephews.